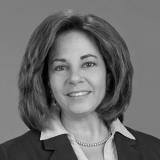 Kathleen Attinello is the Senior Vice President of Global Customer. She has held progressive leadership roles within Dun & Bradstreet, Receivables Management Services and iQor. Kathleen is a visionary leader with proven ability to drive innovative transformation and enhanced customer experience. Her background in management consulting and expertise in process optimization have resulted in sustained transformation. Significant financial impact and performance improvement demonstrated through leveraging analytics to design shared service models and drive optimization throughout her career. Her passion for motivating and developing talent has inspired creative and engaged organizations. She holds a Lean Six Sigma Black Belt and an MBA from Lehigh University. Kathy enjoys traveling with family, outdoor activities and volunteering with educational communities to enrich others. Check out the incredible speaker line-up to see who will be joining Kathleen.